Servo motors are great devices that can turn to a specified position. Usually, they have a servo arm that can turn 180 degrees. 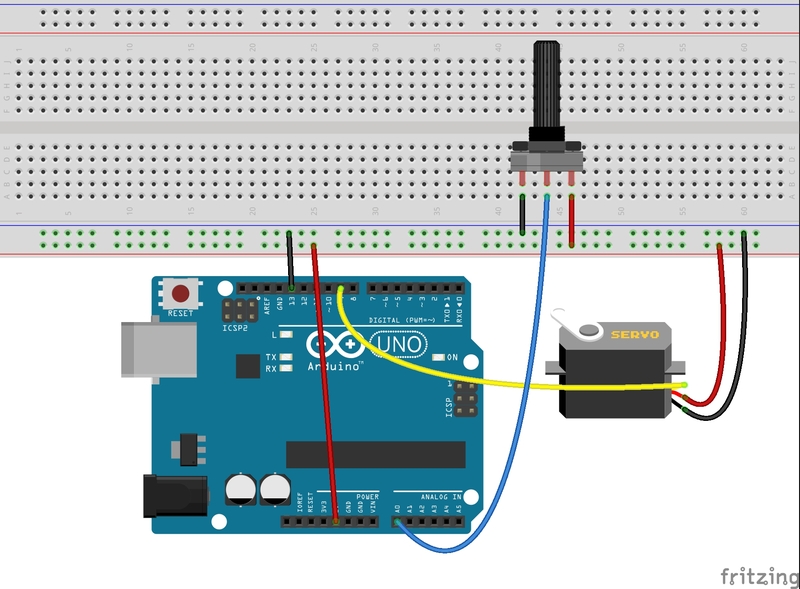 Using the Arduino, we can tell a servo to go to a specified position and it will go there. As simple as that! 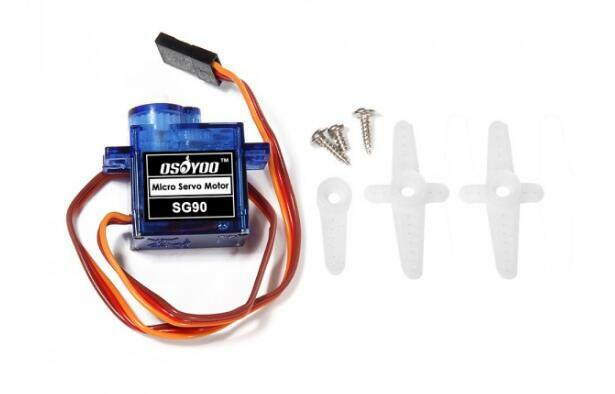 At this part, we will show how to use the Osoyoo Uno to sweeps the shaft of a RC servo motor back and forth across 180 degrees. 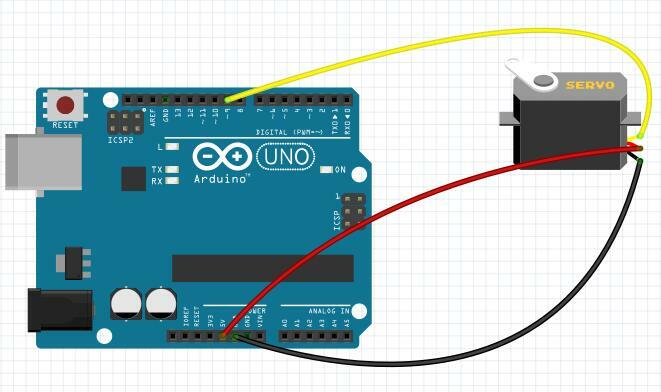 After above operations are completed, connect the Arduino board to your computer using the USB cable. The green power LED (labelled PWR) should go on. 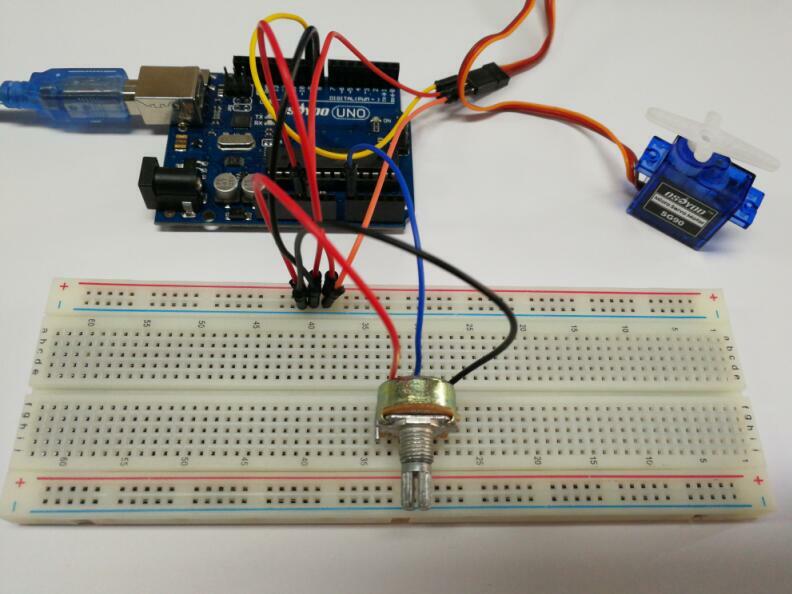 Load up the following sketch onto your Arduino. You should find that the servo immediately begins to turn first in one direction and then back in the other. 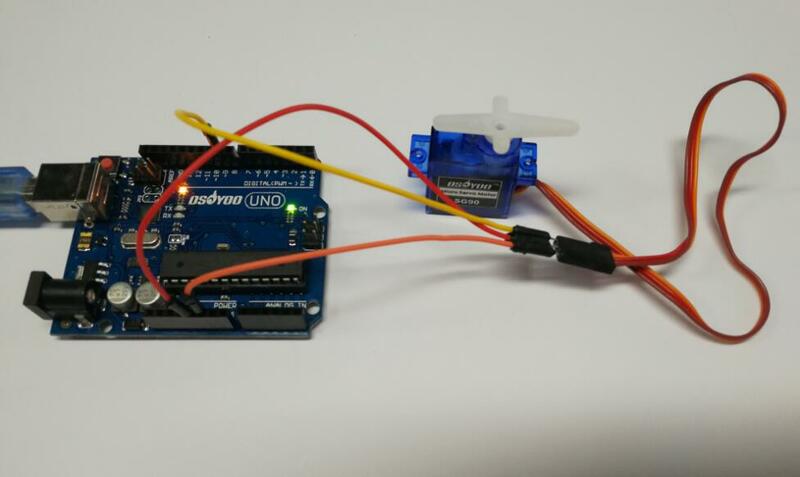 At this part, we will show how to control the position of a RC (hobby) servo motor with your Arduino and a potentiometer. You just need to add the pot and a lead from its slider to A0 on the Arduino. 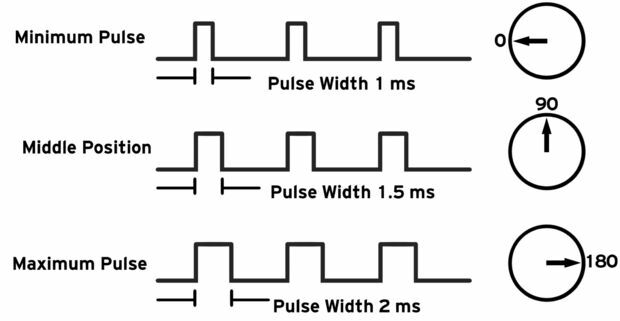 To set the position of the servo, we take an analog reading from A0. This gives us a value of between 0 and 1023. Since the servo can only rotate through 180 degrees, we need to scale this down (value between 0 and 180).